Have you ever thought how winters would taste without those delicious pumpkin pies? From this year, winters are going to be special with a pumpkin pie and a personalized pumpkin pie lip shimmer w/white tube cap. Agreed the former one is delicious and special, but you cannot ignore those calories accompanying them. Why don’t you simply lay back and enjoy a rub of this pumpkin pie lip shimmer. Health Quotient – Animal cruelty-free. Formulated with many natural and artificial moisturizing ingredients such as beeswax, vitamin E, coconut oil, aloe oil, and light mineral oil. No harsh quality/quantity manipulators involved during any stage of formulation. Pumpkin pie flavor. Hypoallergenic. PABA free. Directions – Apply pumpkin pie lip shimmer gently over dry and chapped lips to ease irritations and conceal imperfections. Use it regularly to seek desired effects. Avoid rubbing it over eyes or face as a moisturizer substitute. 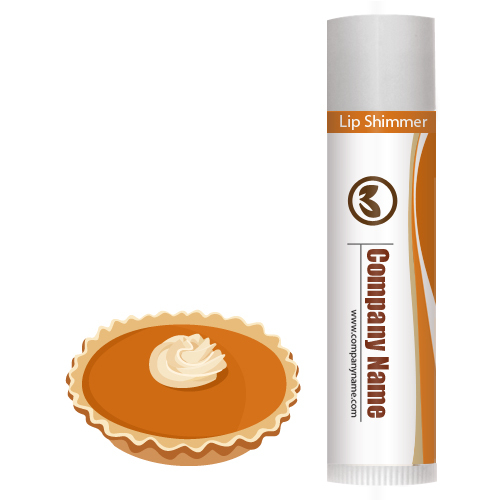 Gifting Favors – Personalized pumpkin pie lip shimmer w/white cap can be a great Halloween gift. You can employ them for acknowledging, thanking or greeting your loved ones during Halloween party.